In Buddhism, Zazen (座禅) is the basic practice of Zen where one correcting their posture of sitting while unite their own spirit. Zazen may be translated as meditation in some situation, but actually meditation is another concept which one closes their eyes and having deep thinking. 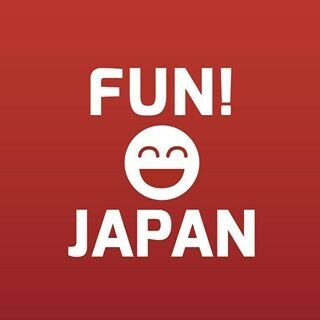 This time, FUN! 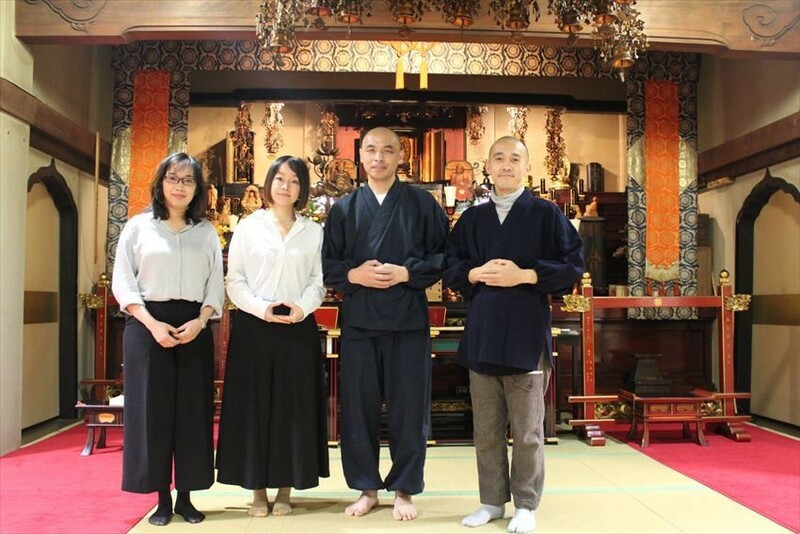 JAPAN team visited a place for Zazen in Tokyo. We are welcomed by Mr. Fujii and Mr. Mukai when we arrived at the destination. We start our Zazen session after the explanation from Mr. Fujii. The monk prayed to Buddha before starting our Zazen. 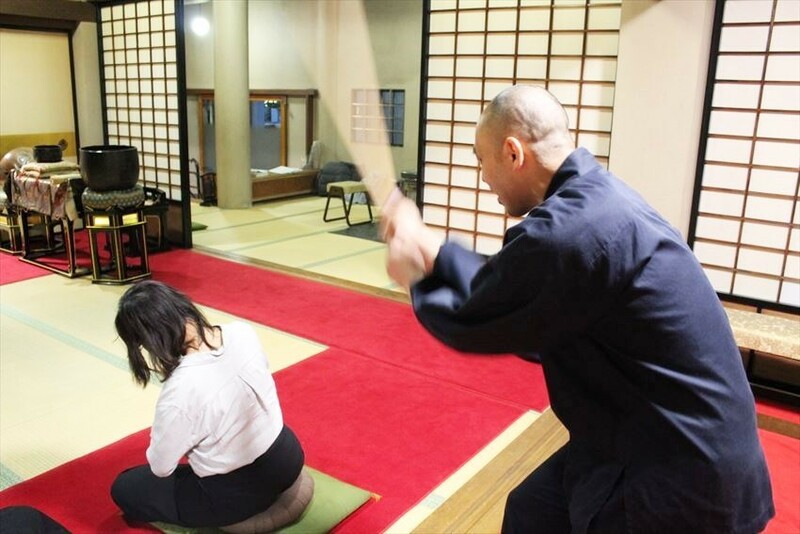 After that, we have been taught about the sitting method on the zabuton (座布団) and zafu (座布). And then we learnt on how to do zazen. We tried to move the body before we start zazen as per instructed by Mr. Fujii. We tried to move the body as like being shaken by the wind in purpose to relax our body. At first, we tried to train for choshin(keep our posture), and then chosoku (breathing steadily) , after that we train choshin(stabilize our heart and thinking). It might be difficult at first, but after a while I can feel that my sense to the surrounding is getting sharper. We continued zazen for more than 20 minutes. After that I could feel that I’m facing to myself, and the rough feeling have disappeared and my heart is gradually getting calm when time pass. The peace is continued and I feel sleepy after approximately 10 minutes. I was hit by a stick to my shoulder. As you might know the trainer will hit the zazen trainee’s shoulder or back when they getting sleepy during zazen, as a courage to them. I thought the hit will be very pain but it wasn’t as pain as my imagination. After the hit, my sleepy feeling totally disappeared. 1) System or posture of the body, movement of the body will be getting better. 2) You can focus and concentrate better. 3) You can forget the bad memories. 4) You will learn to caring. 5) You can live a better life. 7) You able to handle good things or unhappy trouble maturely. 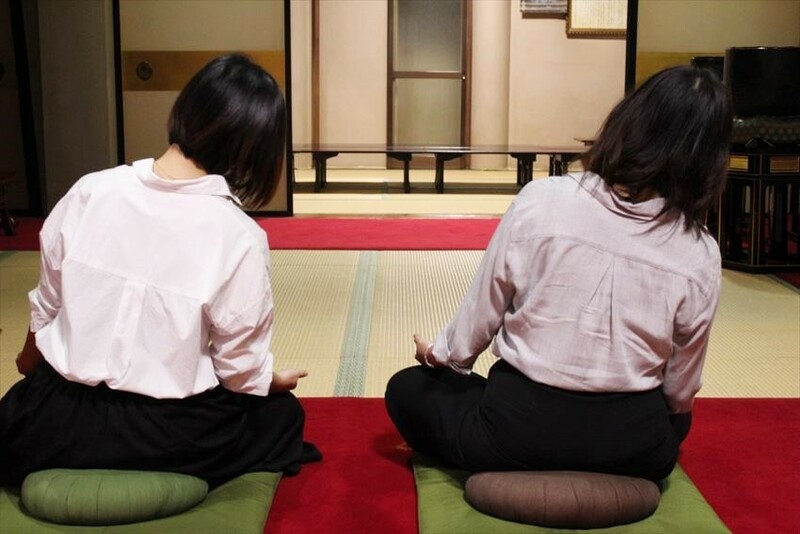 Recently zazen is popular among European and American tourists. 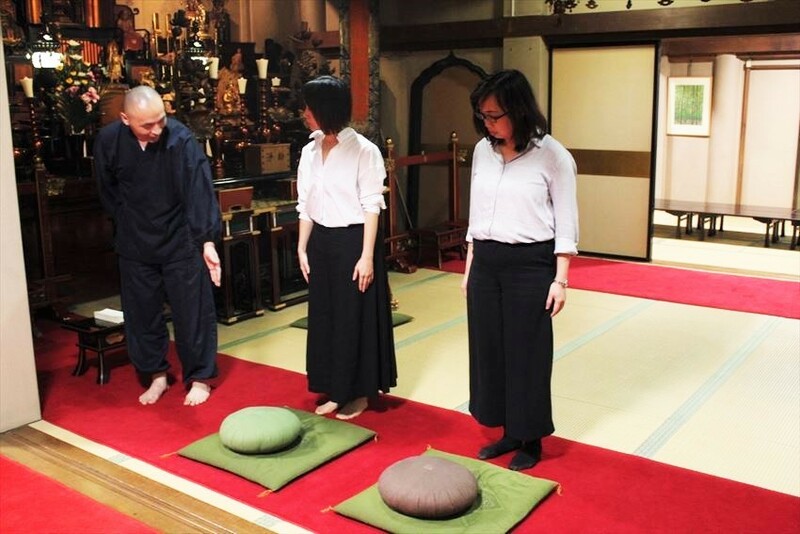 It is quite common for them to experience zazen during their visit to Tokyo. 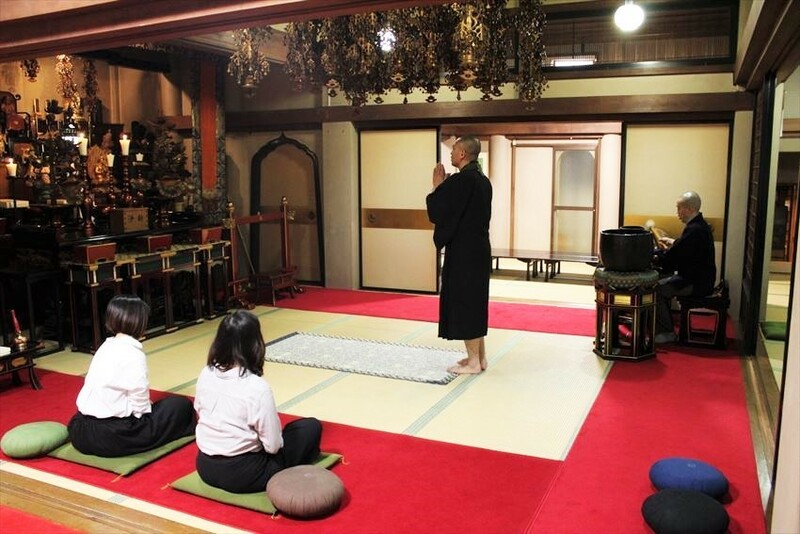 You need no worries for language barrier as they have English trainer to lecture you for zazen practice. 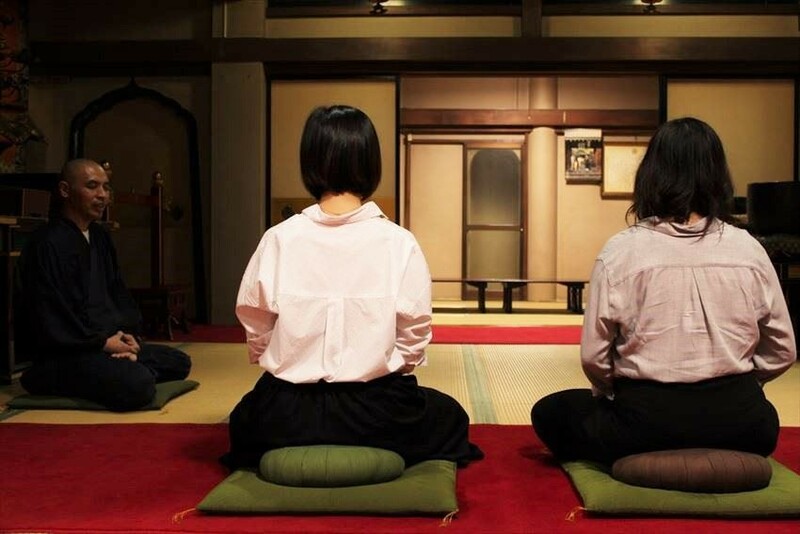 If you are interested, please experience zazen when you traveling to Tokyo. From the above exit, walk towards Shutoko through the tunnel, you will see it at the corner of the first and biggest traffic light.